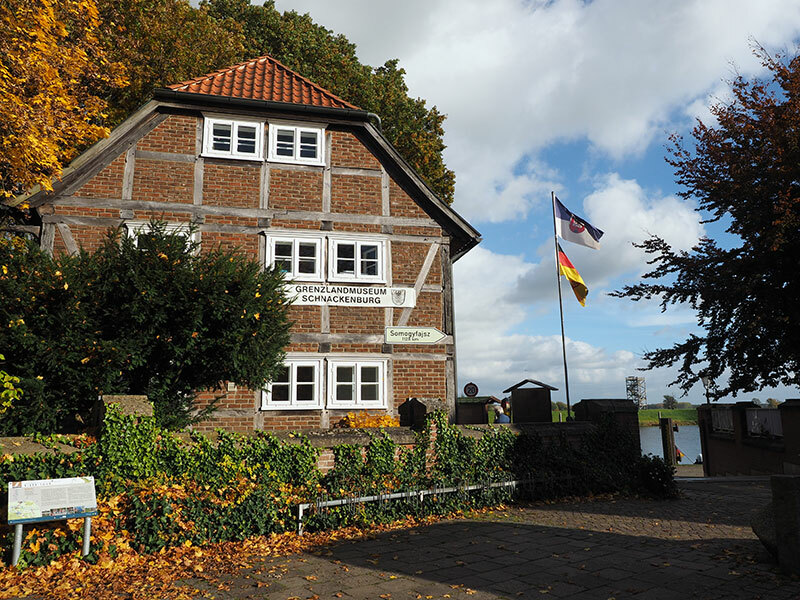 The village of Schnackenburg is on the south side of the Elbe right on the erstwhile border between East and West Germany. It is a place which has lived by borders and died by borders. It is an interesting case of a community which lost out in German unification. hidden europe 47 was published earlier this week. If you'd like to see what we offer in this issue, have a look at the table of contents online. The storks are long gone. So too are the customs men. The storks of course will return in 2016. But it's not likely we'll be seeing the customs officers for many a year. The village of Schnackenburg is a place which has lived by borders and died by borders. It's a community we have watched change over the years. Roll back thirty years and the oat-grass meadows and forests around the Elbe Valley looked much the same as they do today. Schnackenburg is in the German State of Lower Saxony. Until the unification of East and West Germany, twenty-five years ago this autumn, Schnackenburg was all but surrounded by the border paraphernalia of the East. There were watchtowers, fences and the whole cunning apparatus of eavesdropping on supposed enemies. East and West, face-to-face in Schnackenburg. Schnackenburg is on the south side of the River Elbe and occupies a finger of land in former West Germany which extends upriver. Beyond the river on the far bank to the north was East Germany. But the land to the east and the south was also part of East Germany. As far upstream as Schnackenburg, the River Elbe was a shared waterway, with East Germany on the north bank and West Germany on the south side of the river. Moving further upriver from Schnackenburg, the Elbe was entirely in East German territory. Some tense Cold War stand-offs took place in and around Schnackenburg. But Schnackenburg made a decent living from its curious border location, for the river carries a lot of commercial traffic. Ships heading upriver stopped at the village, checking out with the British authorities (who occupied that part of West Germany in the Cold War) before entering waters controlled by the Soviet sector. Every day, more than two dozen vessels bound for West Berlin travelled this way. And a similar number of DDR or Polish-flagged vessels travelling from the port of Hamburg to cities in East Germany and beyond stopped off at Schnackenburg. So the streets of the village were a buzz of rough voices from the boats as crews from both sides of the Iron Curtain took the chance of the Schnackenburg stop to stock up on supplies. No doubt there was a bit of bartering over payment. Schnackenburg had often done well out of its border position, perpetuating a tradition that went back to the 18th century and beyond - when the village collected tolls from users of the river. Schnackenburg's status as a border village is often overlooked in narratives about divided Germany. 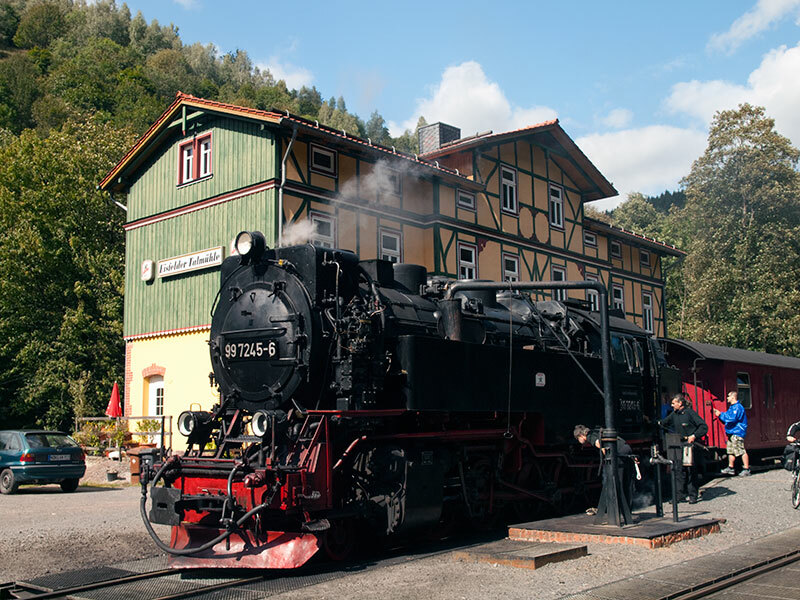 The principal road and rail checkpoints between the two German states were part of conversational currency. Names like Helmstedt and Marienborn were well known. But the shipping traffic on the Elbe was largely invisible to the general public and Schnackenburg's role as a border checkpoint went unremarked beyond the closed worlds of the military and the shipping communities. In the 25 years since German unification, the occupying armies and the customs authorities have gone. A small car ferry now shuttles across the river, giving a link to Lütkenwisch, a village on the north bank which was almost empty in East German times. The authorities judged it to be too close to the border to allow ordinary citizens to live there. In the 1990s, residents who were forced to leave during the Cold War returned to Lütkenwisch and it nowadays is a tidy little hamlet. Schnackenburg is equally tidy and there is a small museum which recalls the days when the village economy thrived because of the border. But most of the shops have closed and the trickle of local traffic on the car ferry doesn't bring the same level of trade as once the big freight boats did. It is an interesting case of a community which lost out in German unification.